Marvellous 'sophisticated comedy' about a prototype dropout (Grant in one of his best performances) who takes a rich upper class family by storm: arriving engaged to the conventionally snobbish younger daughter (Nolan), stirring up latent doubts and resentments through his carefree disregard for material proprieties and properties, he ends up by showing the yearningly dissatisfied elder sister (Hepburn) the way to a declaration of independence. Despite some very funny barbed dialogue, mostly centering on two clashing couples among the engagement party guests (one liberal, the other proto-Fascist), the film is less a satire on the rich than an acknowledgment that privilege has its drawbacks; its key scene, accordingly, takes place in the nursery playroom, a place redolent of childhood hopes and dreams, which Hepburn and her unhappily alcoholic brother (Ayres) unconsciously use as a retreat from their unwelcome social obligations. 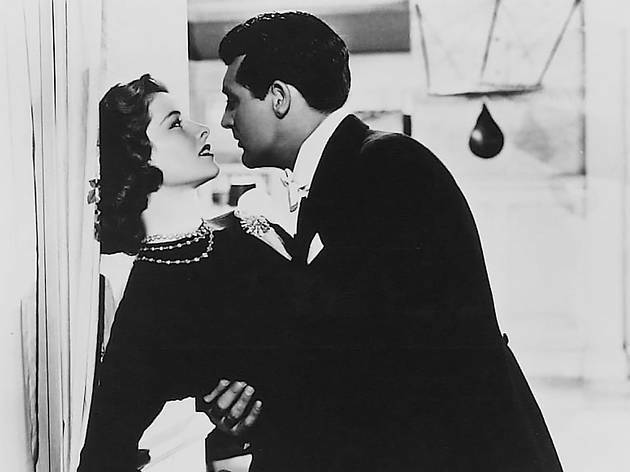 Often underrated by comparison with The Philadelphia Story (both are based on plays by Philip Barry), but even better because its glitteringly polished surface is undermined by veins of real feeling, it is one of Cukor's best films. This movie is exquisite. 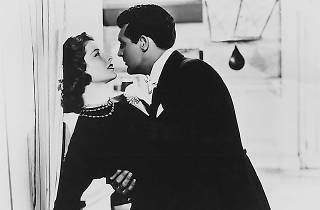 It shows Cary Grant and Katherine Hepburn at their very best. It is simply a must-see for fans of Mr. Grant and Ms. Hepburn.